“How about stopover to Mohenjodaro on way back?“, I asked my colleague. “Why?“, he inquired suspiciously. 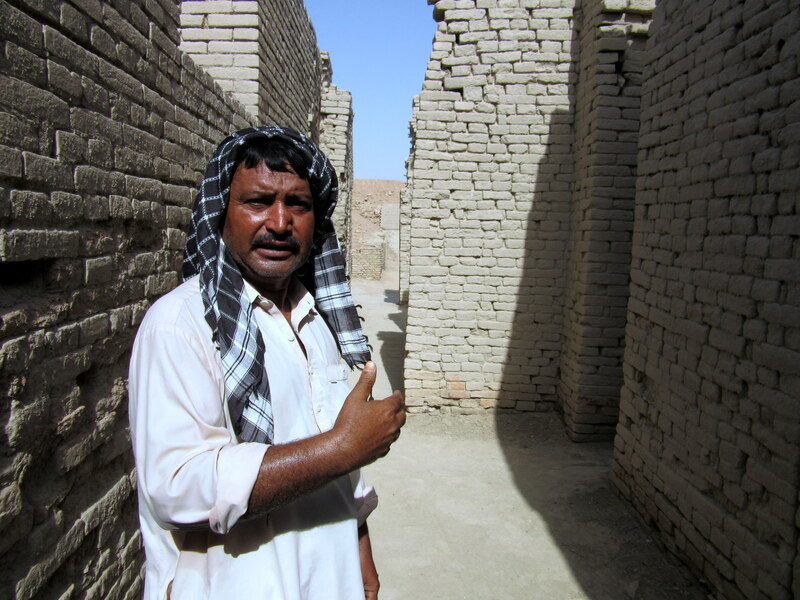 “To search the lost soul of Indus Valley!!!“. And we decided to take a D-tour to ruins of world’s oldest civilization known to date. 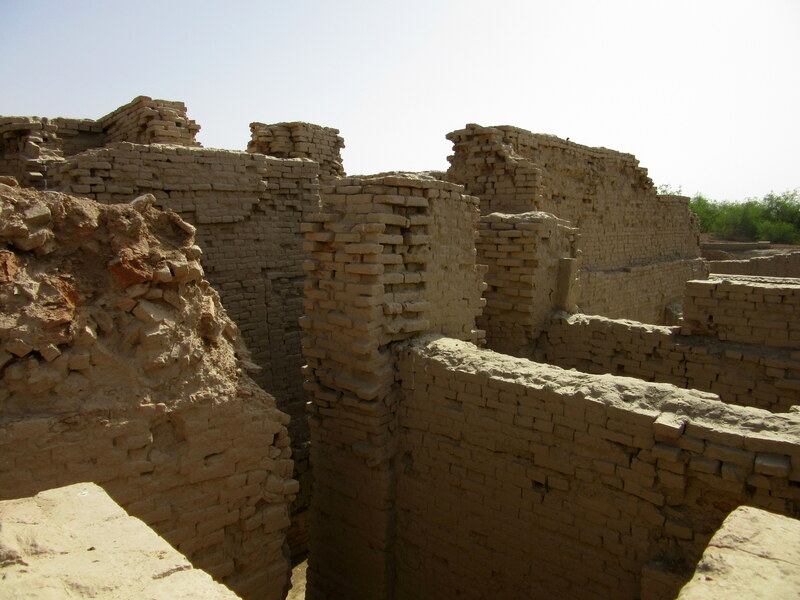 Mohenjodaro (Mound of Dead) is UNESCO World Heritage Site in Sindh, Pakistan on the right bank of Indus River around 20 kilometer from Larkana. It is dated back to 2600 BC. 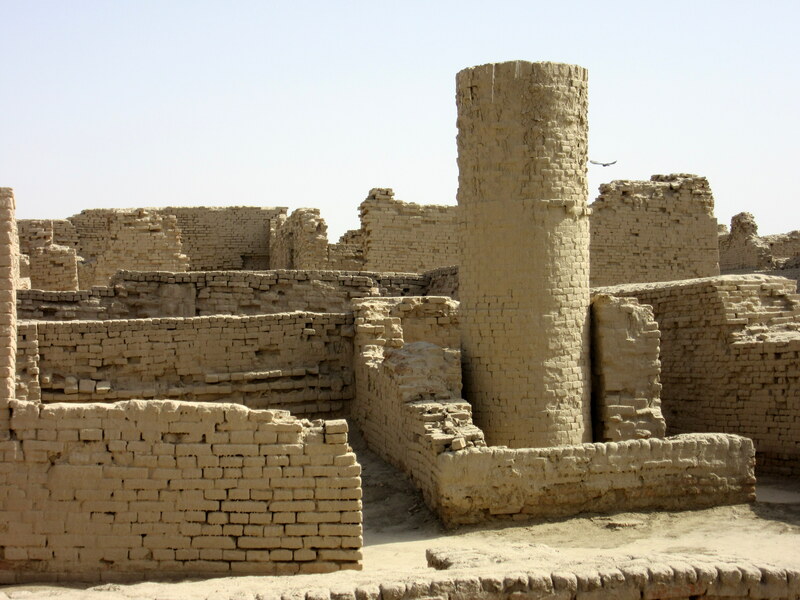 It was the largest settlement of Indus Valley Civilization and the world’s earliest settlement. 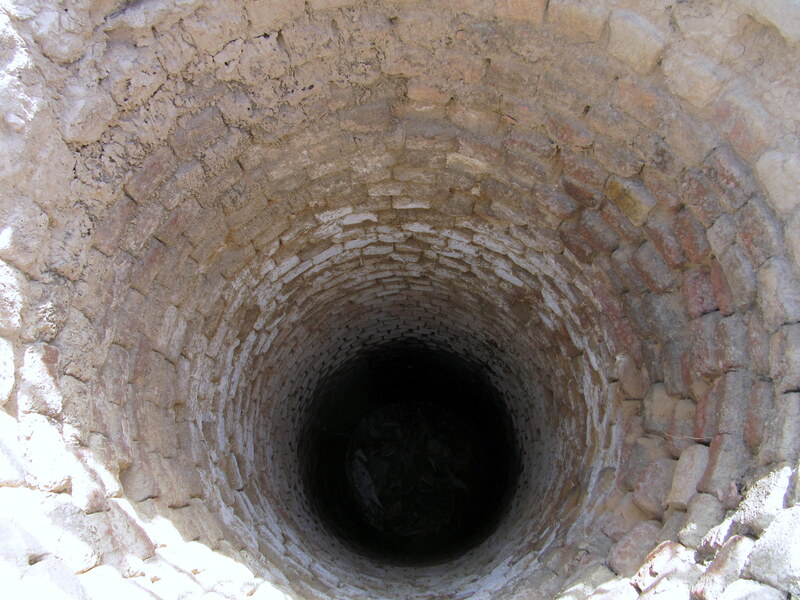 It is believed to be abandoned in 19th century BC before rediscovery in 1922. 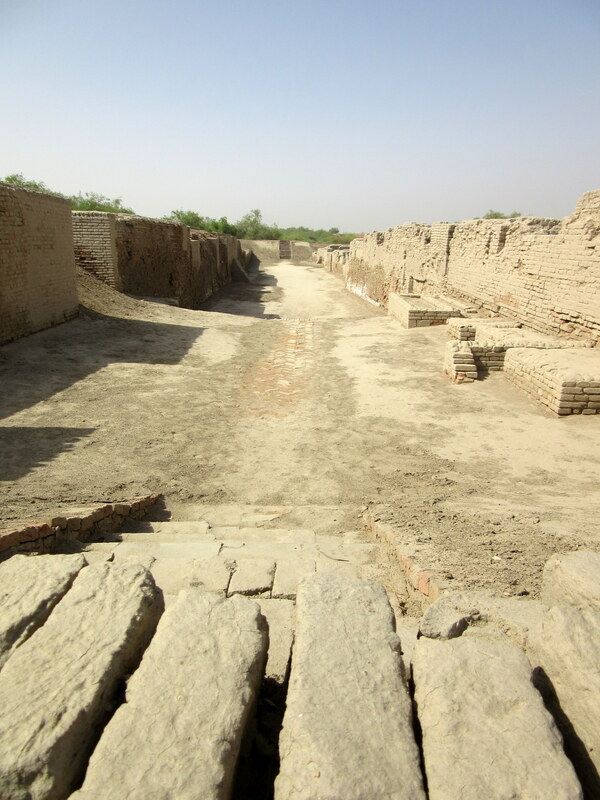 Mohenjodaro was the most modern city of its time. I was feeling excited and anxious. It felt like visiting your home after a long time. 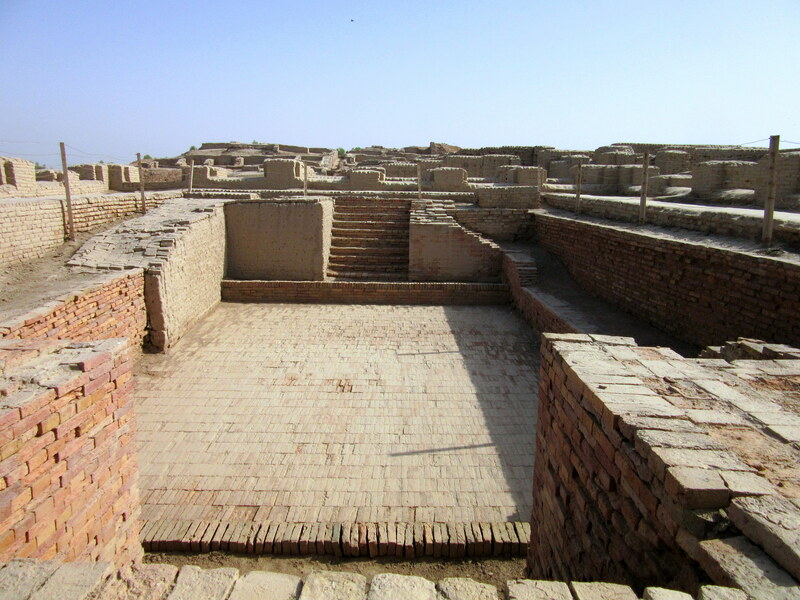 The thought that Mohenjodaro was way modernize 4000 years ago was giving me an adrenaline rush. We drove around 35 km on N5 highway before turning to single track road leading to Larkana. 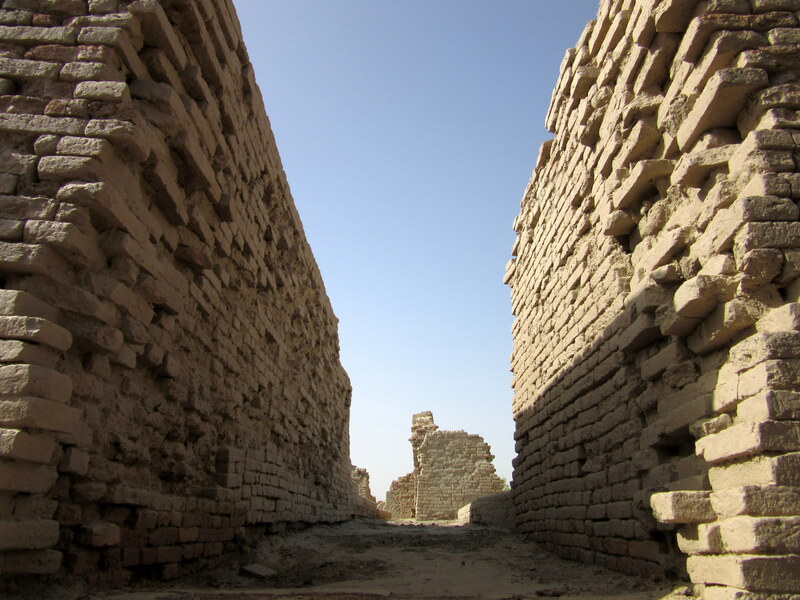 We took a left turn from Larkana after driving 45 km and drove for 20 km more to reach Mohenjodaro. Most of the drive was pleasant and roads were in good condition. We were greeted by gatekeeper at the entrance who looked us in disbelief. “Why are you here?“. “To search the lost … ahem … to visit the city“. “Great! No one having sane mind visit us these days in 45 Celsius heat. Please pay for the museum ticket. Rupees 20 (20 cents) each“. We drove inside the pathway and saw police station and tourism office on one side and a green garden housing guest house and the museum on the other side. We decided to go to guest house first to freshen ourselves. The lobby was a dirty room with more dirty dining area and even more dirty toilets with no electricity. We were greeted by the manager. This was the first shock. I could not believe that place of such historical value would be neglected like this. Next we moved towards the tourism office and found ourselves in corridor giving the look of post world war II. There were four doors out of which only one was open. 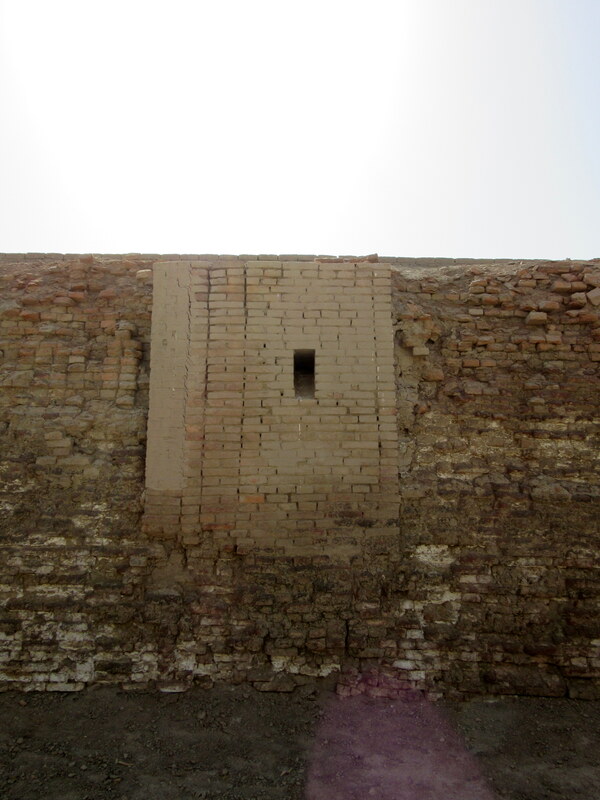 We entered and ask the guy sitting there about how to explore the ruins of Mohenjodaro. The guy informed us that its post office not tourist office. Finally, we guided ourselves and walked towards the ruins. I was not happy to explore the city without guide. When we reached the site we were welcomed by a locked gate and statue of Priest King. That wasn’t a big issue because the walls joining the gate were absent. Inside we met Subhan who is working there as a caretaker since past 2000 years … I mean 20 years. 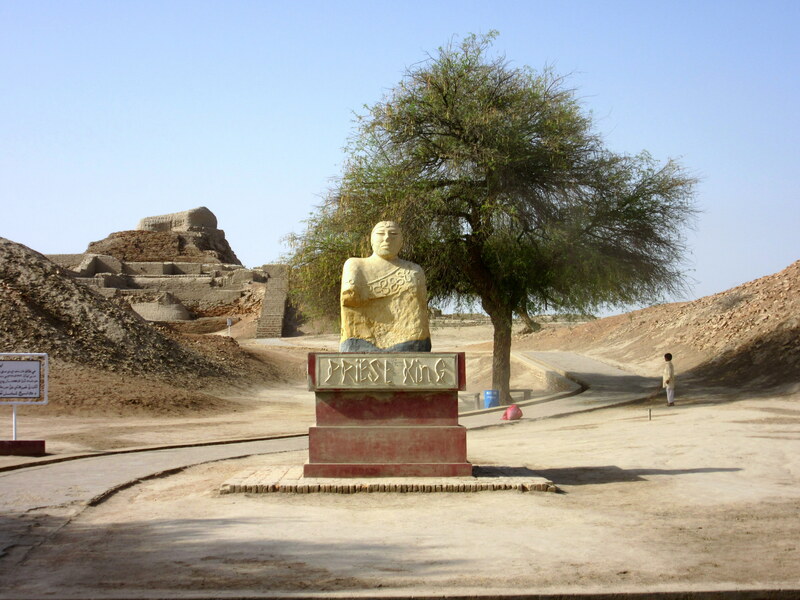 Since past 2 decades he is guiding visitors about the world’s oldest and most civilized city. A city which was more developed 4,000 years ago than Subhan’s nearby village today. A city with running water, attached batch, sewerage system and public amenities – things that are still missing from Subhan’s life. Seems like historic necessities are today’s luxuries. He offered to guide us which we happily accepted. This was the start of our walk in to ancient civilization which took us from Community and Administrative Area to Elite Residential Area and ended at the magnificent Museum. 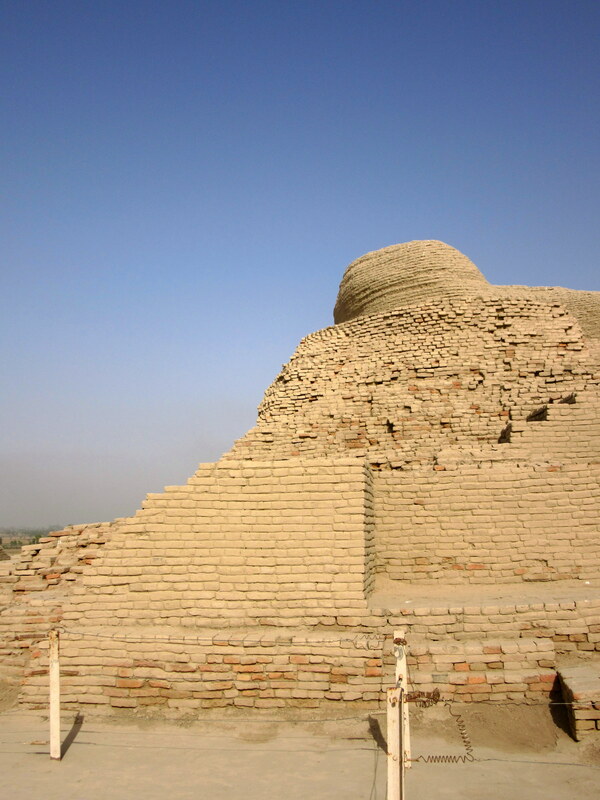 The first thing we saw was Stupa of Budha which is dated 1600 years after Mohenjodaro era. 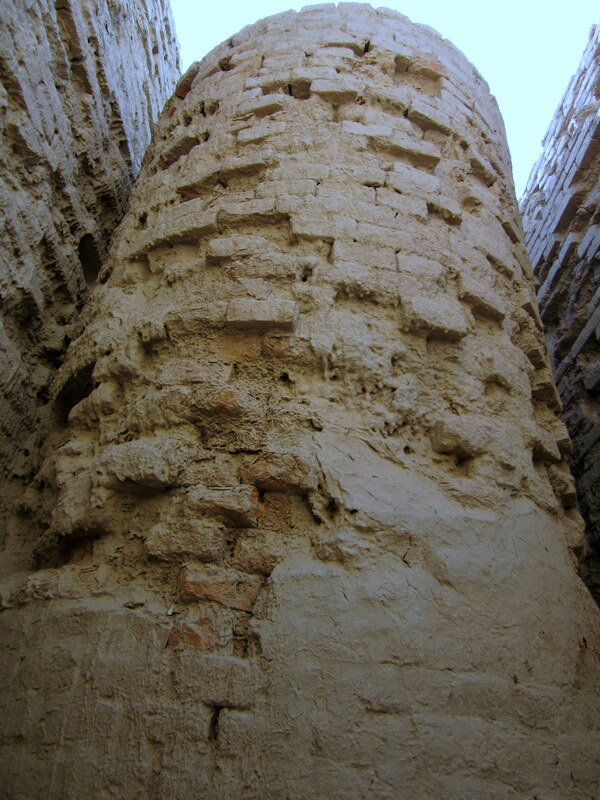 One of the fascinating fact was that Mohenjodaro was at its peak thousands of years before this Stupa was build and was the only thing visible of buried city. We explored the area and were amazed to out various facilities that were available to the public. 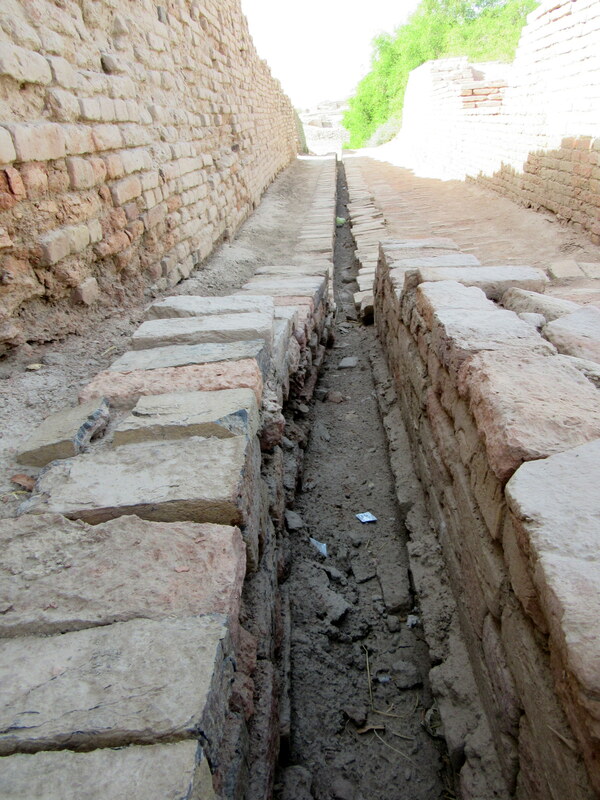 Sanitation at its best, the ruins revealed that all houses, baths and toilets were connected with main sewerage line to dispose the waste water out to the river. Grand Bath with proper water inflow and outflow system. It has stairs to access from all sides. 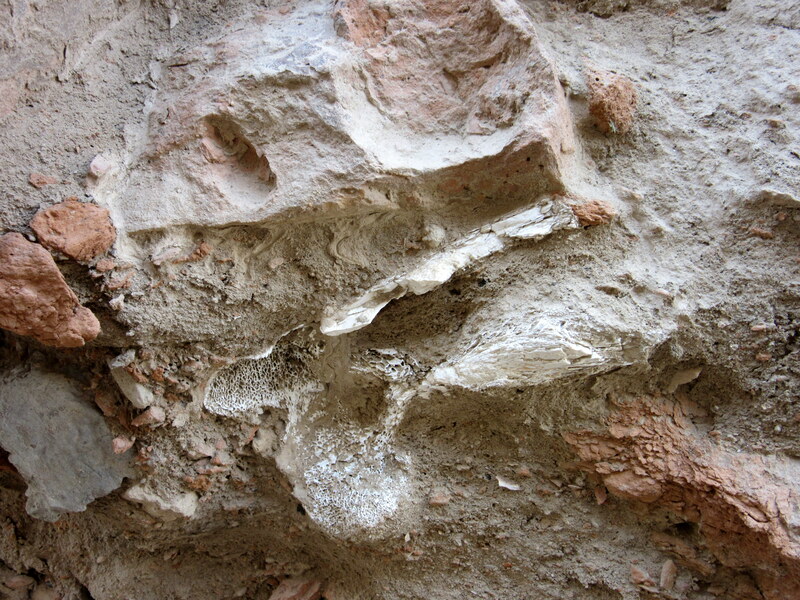 On some walls, the remains of human bones are visible suggesting that they used to bury dead in to the wall. Next we walked towards the area reserved for King and other noble dignitaries. The houses were bigger with multiple rooms, attached bath and private wells. Even the streets were wider and buildings were structured in a way to ensure proper air circulation giving shelter against the weather. Sitting area between prime housing. It was connected with King’s residence and he used to sit here with his advisers to sort out administrative and other matters. View of what is left of royal housing having better planning and open spaces as compared to community areas. The museum is another walk in to the history. 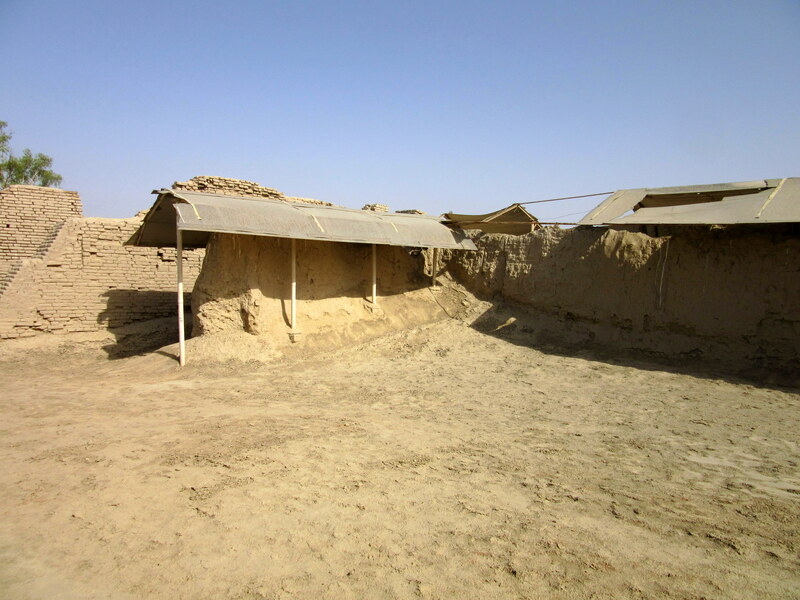 Organized in chronological order, the museum has amazing artifacts, tools, poetry, toys and other items that forces you to imagine the day to day life in Mohenjodaro. We had to pay seperate ticket for the entry where it was clearly mentioned that “Photography is Not Allowed“. I asked the guide, and he said “Sahab, koi masla nahi bus kahayal rakhan” (Sir, no issues but take care of me). It was fascinating to observe exotic jewelry and other items. Excavation at Mohenjodaro shows that in the 3rd millennium BC as in other times, women used to decorate themselves with ornaments of gold, silver, semi-precious stone, copper, bronze, faience and pottery depending on the class in society (yeah! these classes are that old). Many specimen of necklaces, head bands, armlets, bangles and rings found from Mohenjodaro indicate their popularity. While exploring the museum we ran in to a strange thing. It was some human bones with a horrifying pictures of skeleton lying on floor. 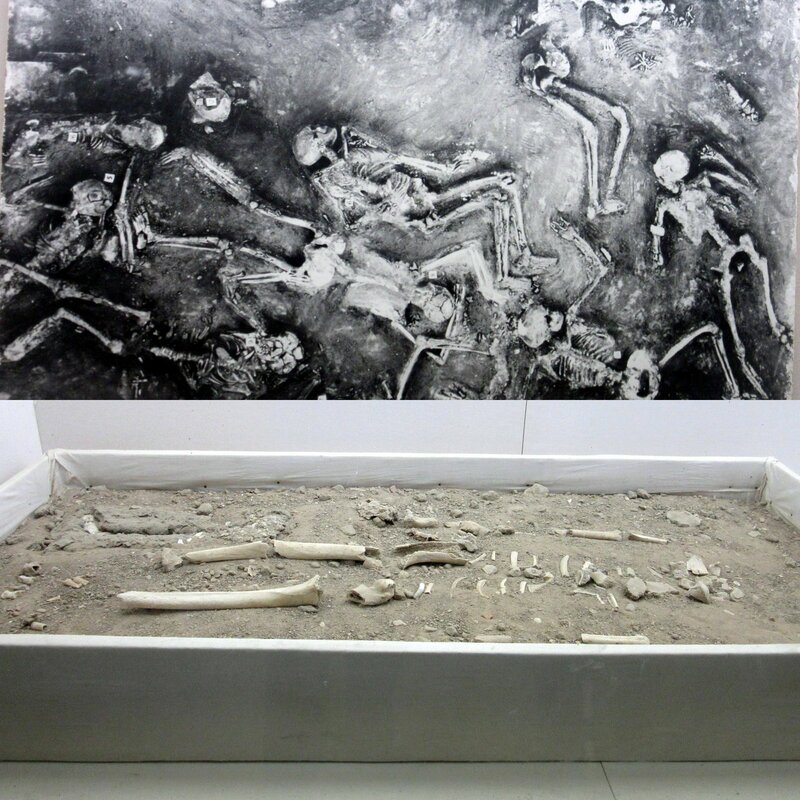 Excavations down to the street level revealed 44 scattered skeletons, as if doom had come so suddenly they could not get to their houses. All the skeletons were flattened to the ground. A father, mother and child were found flattened in the street, face down and still holding hands. Finally we left the site with mixed feeling. I was excited because I managed to see this wonderland. But I was sad because the place is not given the respect that any UNESCO heritage site should be given. land’s actual culture must be preserved and taught to younger generations. When people understand importance of ancient culture of their own traditional land… I am sure they will preserve it with proud. Another good article showing interesting aspects of Pakistan. I like some of the humour in your writing Ahsan, although it sounds like the fascinating Mohenjodaro gave you the occasional chill on a very hot day. Thanks Mick for reading and kind words.